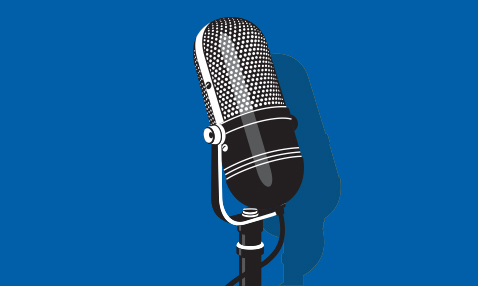 Welcome to Ukrainian Jewish Heritage on Nash Holos Ukrainian Roots Radio. I’m Peter Bejger. Today we begin with a dispatch from the past. This traveler’s account from the Ukrainian capital in the autumn of 1933 hints at the disaster that afflicted the country in those grim years of the brutal man-made Famine. And this rare account comes from one of the very few Westerners allowed into Ukraine at that time. Harry Lang was the labor editor of the Yiddish-language newspaper Jewish Daily Forward, or Forverts, published in New York. 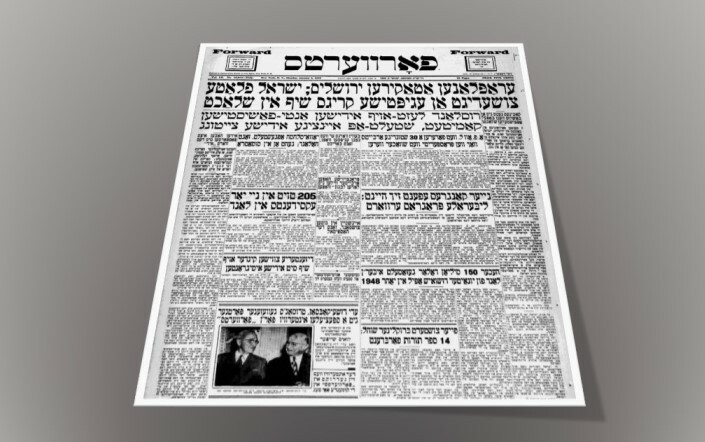 It was then the largest and most influential Yiddish newspaper in the world and the largest non-English language newspaper in the United States. Lang and his wife Lucy spent several weeks traveling freely throughout Ukraine, Belarus, and Russia. They were able to get in due to a letter of reference by the American Senator William E. Borah, who was the leading advocate for the diplomatic recognition of the Soviet Union by the United States. The Langs had a background to make their trip a journalistic success. They were both born in the Tsarist Empire. Harry in Lithuania and Lucy in Kyiv. Both spoke Russian and Yiddish. They could talk with Soviet citizens without the need of an interpreter. In addition, Lucy Lang had extensive connections in Kyiv with influential relatives who had participated in the revolution, joined the Communist Party, and had risen into the higher ranks. What is even more fascinating is that the Langs were able to put their trip into a broader context. Their trip in 1933 first took them to the Middle East, including Palestine, then to Western Europe, and finally the Soviet Union. Harry Lang’s comparison of an impoverished Jewish collective farm near Kharkiv with the thriving kibbutzim in Palestine ruffled feathers. Lang wrote a series of about thirty articles about the Soviet part of the trip that were published in the Forward newspaper between November 1933 and February 1934. His wife Lucy included some material from the trip in her autobiography Tomorrow is Beautiful that was published in 1948. Lang’s articles outraged pro-Soviet readers of the Forward at a time when the United States had finally recognized the Soviet Union and many Americans were eager for improved Soviet-American relations. Harry Lang was publicly vilified. He was expelled from the Socialist Party and efforts were made to dismiss him from the newspaper. He was even threatened with assassination. Lang remained with the Forward for the rest of his career and passed away in California in 1970. Four of Lang’s articles have been recently posted on the website www.academia.edu. Roman Serbyn, a historian and professor emeritus of Russian and East European history at the University of Quebec at Montreal, compiled and edited the texts, which were translated from the Yiddish into English by Moishe Dolman of Montreal. This has been Ukrainian Jewish Heritage on Nash Holos Ukrainian Roots Radio. From San Francisco, I’m Peter Bejger. 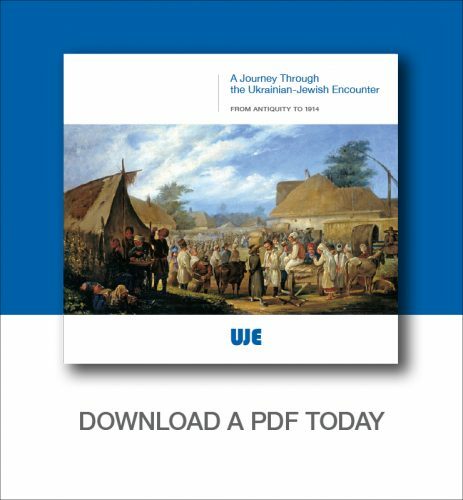 Ukrainian Jewish Heritage is brought to you by the Ukrainian Jewish Encounter (UJE), a privately funded multinational organization whose goal is to promote mutual understanding between Ukrainians and Jews. 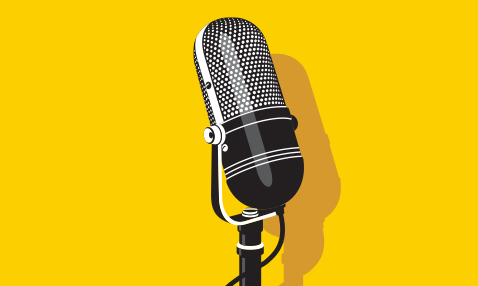 Transcripts and audio files of this and earlier broadcasts of Ukrainian Jewish Heritage are available at the UJE website and the Nash Holos website.